We love cooking with fresh green beans, and find that most of the time, we don't even really need to trim them, though of course, your preference may be a bit different. Often, grocery stores sell bagged green beans which are pre-washed and pre-trimmed while still being fresh (and not frozen). If you like cooking with green beans, you might also want to try the most popular green bean recipe on The Spruce, this simple vegan green bean casserole recipe. Heat the water in a wok or a large saucepan. Carefully add the fresh green beans and steam until tender but still a bit crisp - about 8 minutes. Drain all of the remaining water well, and set the green beans aside. In a small bowl, whisk together the vegetable broth, soy sauce, rice wine, and the sugar, stirring to dissolve the sugar. Wipe the excess water from the wok or saucepan, add the oil and heat over medium-high heat. Add the garlic and allow to cook for just 1 minute. Add the green beans and the soy sauce mixture, and cook for 2 minutes, stirring often. 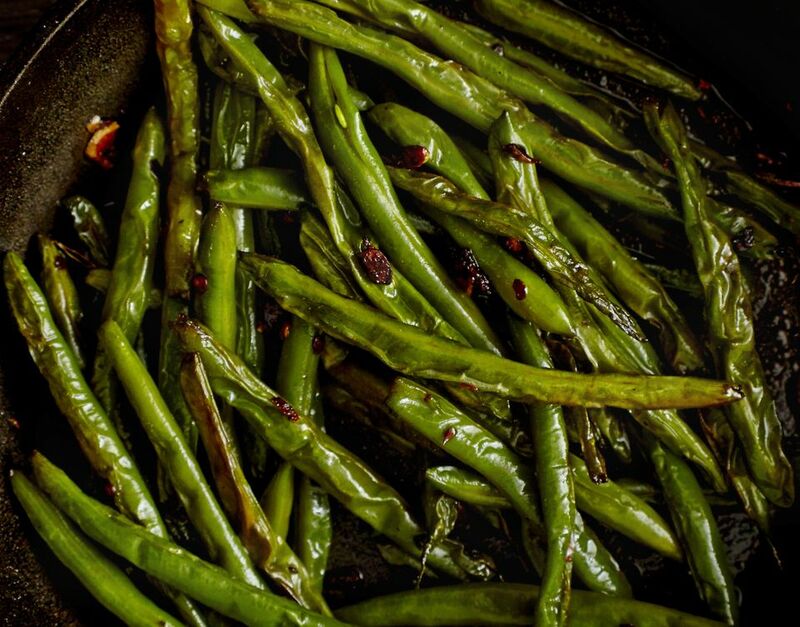 Enjoy your fresh homemade Asian-inspired green beans! This green bean recipe is reprinted with permission from The Compassionate Cook Cookbook.